Synaxis of the Saints of Optina. 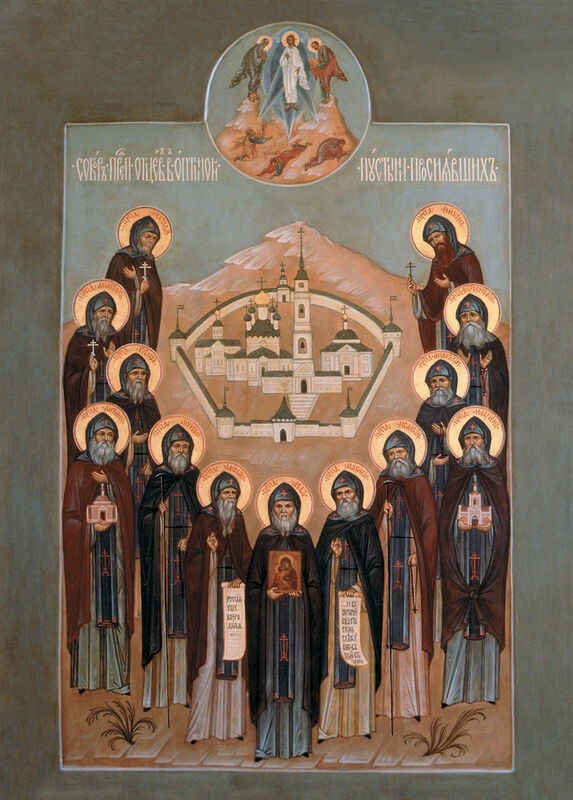 On October 11/24, we celebrate this Synaxis (Assembly) of the Saints of Optina Monastery. In their memory, OrthoChristian.com present this compilation of brief saints’ lives, and excerpts from their spiritual counsels. Eldership at Optina properly begins with Elder Leonid (Leo in schema) who arrived when he was already matured in this ministry. Outwardly his monastic path was unsettled. It began in Optina at the dawn of its revival, initiated in 1795 by Metropolitan Platon, then led him to White Banks Monastery where he was tonsured, to Cholnsk, the Roslavi forest, Valaam, St. Alexander of Svir monastery, Ploshchansk and the Briansk forest, before he "returned" to Optina in 1829 at the invitation Elder Moses. This transience was the result not of instability but of circumstance. 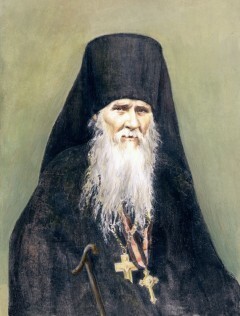 The tradition eldership and hesychasm had become so removed from the Russian monastic experience of the 18th century that it was suspected of being an innovation and not infrequently aroused misunderstandings leading to slander, jealousy and outright persecution—something which Elder Leonid experienced at varying degrees throughout his monastic career, and particularly in his last years at Optina. Leonid's involuntary mobility did not, however, prevent him from developing a solid spiritual foundation. In his sojourning he was in constant association with Paisian disciples, and spent some twenty years in the company of Elder Cleopas and Elder Theodore (of Svir) who had lived with Elder Paisius. From them Leonid learned the art of unceasing prayer. At Optina the brethren came daily to Elder Leonid to reveal their thoughts practice which nurtured spiritual vigilance and control. With his gift of clairvoyance, the Elder expertly wielded the spiritual scalpel, going directly to the heart of the person's problem and inspiring healing tears of repentance. He worked countless miracles also among laymen. In the world he had been engaged in commerce and this experience helped him to establish a rapport with pilgrims from diverse backgrounds. At first acquaintance, many were misled by the rather jovial exterior which often hid his ascetic temperament. 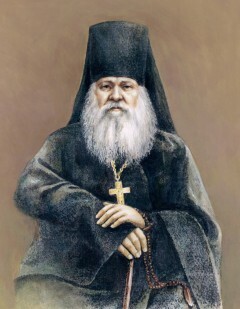 Elder Macarius's face was scarred by smallpox, he stuttered and was always poorly dressed, but he was distinguished by a very refined personality. He was born to a landed gentry family, loved music and was a talented violinist. After some years' experience in the world as a bookkeeper, in 1818 he entered upon the monastic path at the Ploshchansk Hermitage. There he formed ties with Elder Leonid and followed him to Optina. With Elder Leonid's repose, the burden of the spiritual guidance of the skete fell to Elder Macarius. He was soft-spoken and emanated a quiet joy in the Lord. Like Elder Leonid, he used his gift of spiritual discernment to work numerous healings, especially of the demon-possessed. He also carried on a tremendous correspondence: his letters of counsel fill two volumes, each numbering a thousand pages. Elder Macarius did not tolerate idleness among the brethren. He introduced various handcrafts: bookbinding and woodworking. He also adorned the skete with mass planting of flowers. 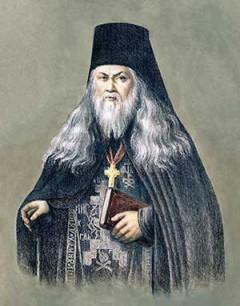 His greatest contribution to Optina, however, was to initiate its work of publishing patristic texts. This was historically significant, since Peter's reforms had greatly curtailed such activity, which subsequent laws restricted to ecclesiastical print shops. The result was that many works of Holy Fathers existed only in manuscript form or in very limited editions. Meanwhile, the secular press was churning out translations of mystical-philosophical works from the West, some of them plainly hostile to Orthodoxy. 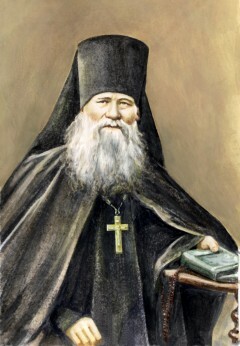 With the blessing and earnest support of Metropolitan Philaret of Moscow, and the active collaboration of the Orthodox writer and philosopher Ivan Kireyevsky, Elder Macarius began meticulously editing manuscripts translated from the Greek by Paisius Velichkovsky, which he had acquired in Ploshchansk, and other patristic manuscripts donated by various individuals, thus launching an undertaking which, in 50 years, produced more than 125 books in 225,090 copies. These were sent to libraries and seminaries all over Russia, putting into circulation the works of St. Isaac the Syrian, St. Symeon the New Theologian, St. Nilus of Sora, Elder Paisius (Velichkovsky), and others, and inspiring a growing circle of religiously inclined intelligentsia. 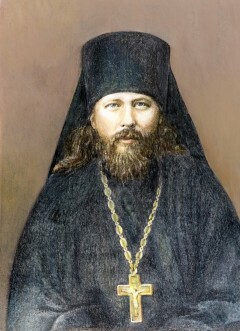 Elder Anthony was a disciple of his own brother, Elder Moses (Putilov) in the Roslavl forest before following him to Optina. He was only thirty when he was appointed superior of the skete, and even in this position of authority he did nothing without his brother's blessing. Visitors to the Skete were impressed by the order and cleanliness, which were mirrored in the inner tranquility of the brethren under the care of this spirit-bearing elder. The diocesan bishop, however, saw the revival of eldership as an innovation and made things difficult for the elders. 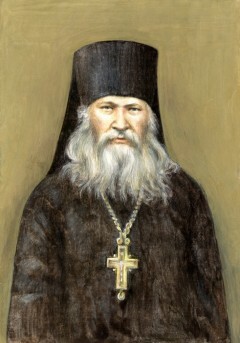 In 1839 he transferred Elder Anthony to the derelict Maloyaroslavl monastery. Leaving Optina was a great trial for the Elder, but nevertheless, he applied himself to revitalizing the monastery and endured that obedience for fourteen years before returning to his beloved Optina for retirement. For thirty years the Elder suffered from sores on his legs which, in time, penetrated to the bone. Even in this condition he did not spare himself for the sake of his brothers. One monk often gave in to a weakness to oversleep and missed Matins, which was served at one or two in the morning; finally he gave up going altogether, in spite of repeated entreaties by his superiors. One morning after service in church, Elder Anthony came to the brother's cell. "I must give an account for you. Have pity on me and on your ' own soul," the Elder implored. He prostrated himself before the brother, whereupon blood poured out from the elder's boots, forming a pool beneath his mantia. The brother was stricken by the abbot’s extreme humility, and was cured of his weakness. Elder Hilarion was born on Pascha night and baptized Rodion. In the world he was a tailor and ran a clothing store, devoting his spare time to missionary work among the schismatic Skoptsy sect. He spent a year visiting various monasteries before settling in Optina in 1839, drawn by the presence of Elders Leonid and Macarius. When the latter was appointed skete superior, he chose Rodion as his cell attendant, an obedience he fulfilled for twenty years, until Elder Macarius's repose. In addition he worked in the gardens, made kvass, baked bread and looked after the apiary He was characterized by simplicity, goodwill and a readiness to help. With his missionary background he showed special concern for those outside the Church. Although he remained for posterity in the shadow of his more famous fellow elders, his spiritual greatness may be judged by the fact that Elder Macarius entrusted to him, as well as to Elder Ambrose, his spiritual children. 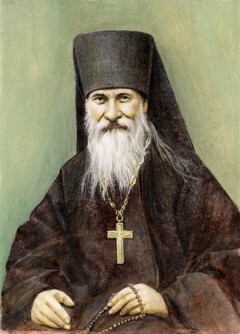 For thirty years after Elder Macarius’s death, Elder Ambrose was in the position of being Optina's principal elder (starets). Countless pilgrims streamed to his cell, and even when he was thoroughly exhausted and had to receive them lying in bed, he never turned away anyone in need of soul-profiting counsel. Men's souls held no secrets from him; abundant testimony exists of his clairvoyance. He always adapted his advice to the individual and no one's problem was considered too insignificant. Dostoevsky found in Elder Ambrose a living example of the Christian ideal, while Elder Nectarius called him "an earthly angel and a heavenly man." Indeed, he was seen more than once surrounded by uncreated light, a sign of transfiguration and citizenship in paradise. 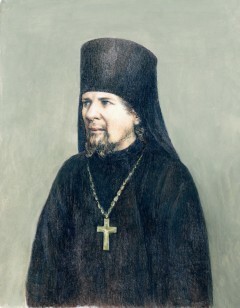 Elder Anatole's parents encouraged their children towards monasticism. After attending seminary, a miraculous healing from consumption led him to Optina. He became a disciple of Elder Macarius, who, foreseeing his future greatness, jokingly called him "the tall one". He had a difficult novitiate, working in the kitchen and sleeping there on a woodpile. 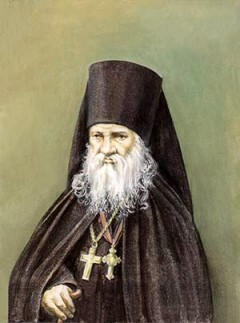 In 1870 he became a hieromonk and then, at Elder Ambrose's request, skete superior. With his exceptional gift of prayer, he was in great demand as a spiritual father and received up to 200 letters a day. He often forewarned people of impending trials, counseling submission to God's will. He worked closely with Elder Ambrose, who, recognizing his rare spiritual gifts, depended on his help in guiding the Shamardino nuns. When Elder Ambrose reposed, Fr. 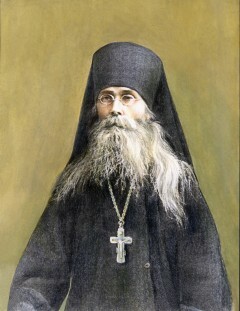 Anatole felt orphaned, although he was consoled by ties with St. John of Kronstadt. Like so many of the elders, Elder Anatole suffered from slanders, a trial which further weakened his heart and hastened his departure from this world. In 1893 he was secretly tonsured into the great schema, and three and a haft months later, he reposed. Descended from the Orenburg Cossacks, Paul enrolled in the Polotsk Cadet Corps to pursue his education and a military career. After completing his studies at the Orenburg Military School, he received a commission as an officer. Later, he graduated from the Petersburg Cossack Staff Officers' School and then served at the headquarters of the Kazan military district. He eventually rose to the rank of colonel. Alexander Potapov, as a youth, wanted to be a monk, but his mother would not give her consent. Thus, he entered Optina Monastery only after her death. 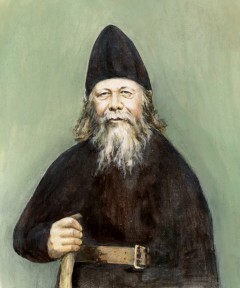 At the monastery, he became the cell-attendant of Elder Ambrose, and after Ambrose's death he functioned as an elder, even though he was still a deacon. With his tonsure as a monk, he was given the name Anatole. Under the Bolsheviks in the early 1920s, Fr. Anatole was mocked and tormented by soldiers of the Red Army. He endured much suffering, but continued to receive visitors. During the evening of July 29, 1922, soldiers came to arrest him. But putting them off, he asked for time to prepare himself. The next morning, soldiers returned and asked the Elder's cell attendant if he was ready. Fr. Barnabas invited them to come in. There they found Fr. Anatole in the middle of his cell, all "prepared", lying dead in his coffin. The Lord had taken him during the night to spare him further suffering. “Pride comes in various forms. There is worldly pride: this is knowledge; and there is spiritual pride: this is self-love. This is exactly so—people will truly go insane if they expect their intellect to cope with everything they hope to receive from it. But how can our mind get down to its own business, since it is insignificant and infected? Take from it that which it is able to give, and make no further demand upon it. Our teacher is humility. God resists the proud, but gives grace to the humble, and the grace of God is everything. That is your greatest wisdom. Humble yourself and say to yourself: ‘Although I’m a speck of earthly dust, still God cares for me, and may the will of God be done in me.’ If you say this, not only with your mind, but also with your heart, boldly—as becomes a true Christian—relying on the Lord with a firm intention to submit to the will of God—whatever it may be—without murmuring, then the clouds will disperse before you and the sun will look out, and will enlighten and warm you. And you will know true joy from the Lord and everything will seem clear and transparent to you, and you will cease tormenting yourself, and it will become light in your soul." Elder Nectarius came from a poor working class family. 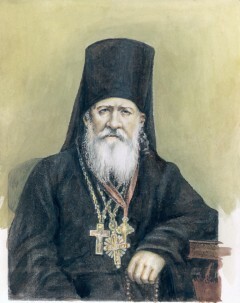 A schema-nun counseled him to go to Optina where he arrived in 1876. 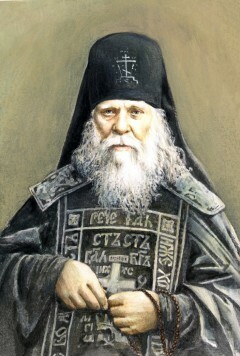 For 20 years he became a disciple of Elder Anatole, and also received counsel from Elder Ambrose. Both were strict with him; and later, as a spiritual father, the medicine he gave was often bitter, although he was kindly affectionate towards those undergoing difficulties. He became something of a fool-for-Christ and spent several years as a semi-recluse, reading not only spiritual texts but also the world's literary greats: Milton, Dante, Shakespeare; he studied science, mathematics and painting, and in conversation with intellectuals was able to relate all human knowledge to the spiritual world and the wonder of God's gift of creativity. In 1913 he reluctantly agreed to be spiritual father of the brotherhood. Comparing himself to his predecessors, he said, "They had whole loaves of wisdom, while I have but a slice." In fact, it was said of Elder Nectarius that he was "a sword of light piercing the soul." When in 1923 Optina was closed by the communists, Elder Nectarius was imprisoned briefly, then released, and spent the rest of his life in trying circumstances in the village of Kholmishcha. Nevertheless, he managed to preserve a radiant peace and maintained ties with some of his spiritual children. Two months before he died he foretold to them his repose. He also said that his body would not remain in the Kholmishcha cemetery. His prophecy was fulfilled on July 16, 1989, when the monks from the newly reopened Optina Monastery transferred the Elder's relics—wondrously fragrant—to the monastery where they now repose in the main church, in a side chapel dedicated to Elder Nectarius’ beloved abba, Elder Ambrose. St. Nikon was born on September 26, 1888, the son of Metrophanes and Vera Belyaev, and was named Nicholas at his Baptism. His parents, who were both very devout, belonged to one of Moscow's merchant families. Both Nicholas and his brother John loved going to church and reading the Holy Scriptures and other spiritual books. When John and Nicholas decided to embrace monasticism, they cut up a list of Russia's monasteries from an old book, and Nicholas was asked to pick one of the strips after praying to God. The strip he selected read, "The Optina Hermitage of the Entry of the Theotokos into the Temple, Kozelsk." Until that moment, neither of them had ever heard of this monastery. The brothers traveled to Optina on February 24, 1907 with their mother's blessing, and were accepted into the monastery on December 9, the commemoration of the "Unexpected Joy" Icon of the Most Holy Theotokos. “The Lord is the Creator of both physicians and medicines. One must not reject medical treatment." “If you wish to be delivered from grief, do not become attached in heart to anything or anyone." In January, 1930, after the end of the "investigation", Fr. Isaac, was exiled to Siberia along with others of the Optina monks, where, according to one source, they ended their lives. According to another source, Fr. Isaac was exiled to Belev in Moscow province. In 1932 he was arrested in Belev, but was released. 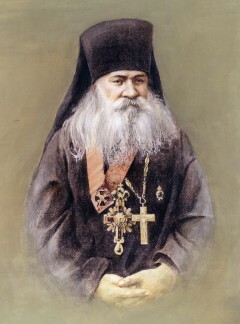 On December 16, 1937, Archimandrite Isaac was arrested in Belev. On December 30 he was condemned to be shot by a "Troika" of the NKVD in Tula, and on January 8, 1938, he was shot together with other Optina monks in Tesnitsky wood near Tula. Sources: Website of the Eastern America and New York Diocese of the Russian Church Abroad; Orthodox Wiki; Roca.org (Orthodox America); Orthodox.net; Website of the Orthodox Church in America; Holy Transfiguration.org. A sect that practiced castration as a supposed means toward spiritual perfection.